I have another sandwich free bento for you today! 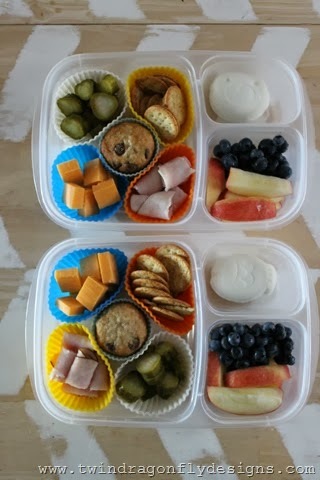 My little guys love crackers and cheese so this bento was a perfect option for them. chip muffin, apples, blueberries and and shaped hard boiled egg. Our silicone cups and egg molds are from Wholeport. 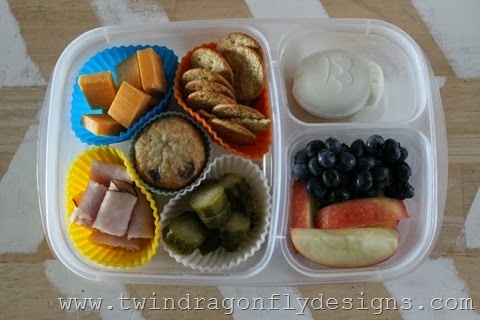 Easy Lunch Boxes ~ look for a review and GIVEAWAY coming soon!